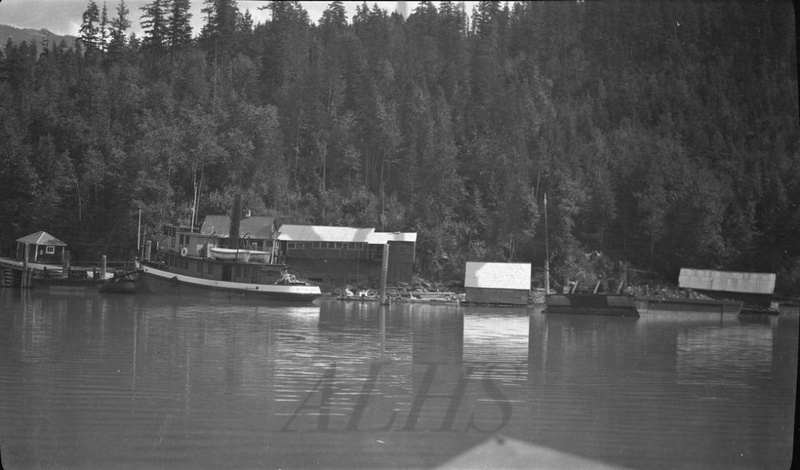 SS Beaton docked at Beaton deepwater landing, Northeast (Beaton) Arm, Upper Arrow Lake, ca. 1920s-1930s. Captain Osborne Sutherland's house in background. 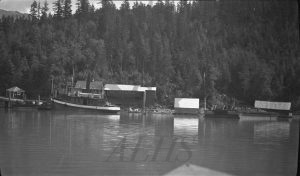 Coal barge at right.